CM12s Android 5.0 Lollipop update (YNG1TAS17L) is already out now for the OnePlus one users. 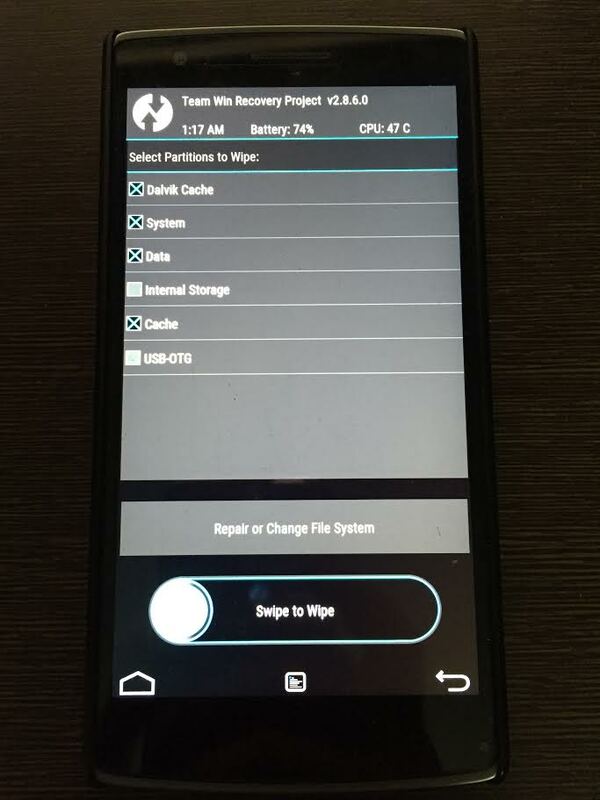 Here in this guide we’ll show you the proper way to install the Lollipop update on OnePlus one. This guide is for those whom currently run stock CM11S, CM12 Nightly, Oxygen OS or any other Custom ROM. The guide is pretty simple and takes a few minutes to update you oneplus with (YNG1TAS17L) CM12S update. This guide is for all rooted users, with custom recovery or Non-rooted user with Stock Recovery.This process involves nearly zero technical knowledge, it is safe, simple and only manually activates the OTA update file! The best part of this guide is we’ll show you all the steps one by one with the images. So it will be easy for all the new users to update the device. 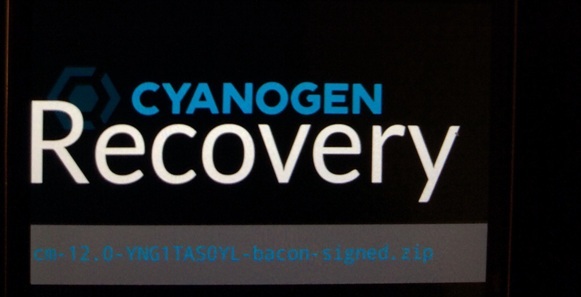 NEW- Download the Cyanogen OS 12 (CM12S) YNG1TAS2I3 ROM form here on your phone. 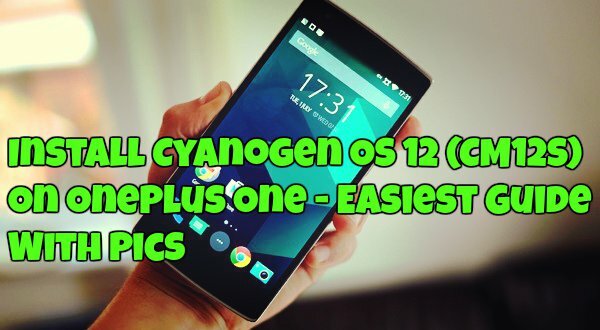 Download the Cyanogen OS 12 (CM12S) YNG1TAS17L ROM form here on your phone. 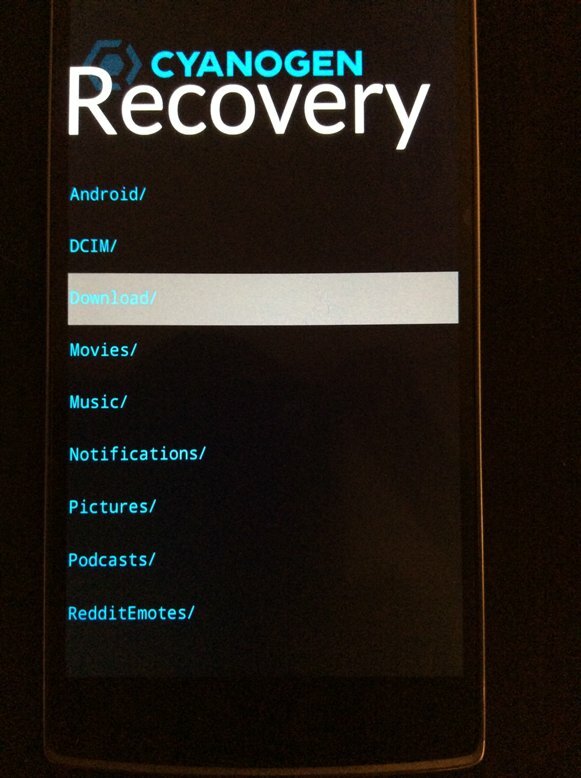 If you are the non-rooted user with stock recovery then follow the below mention guide. Step 1. 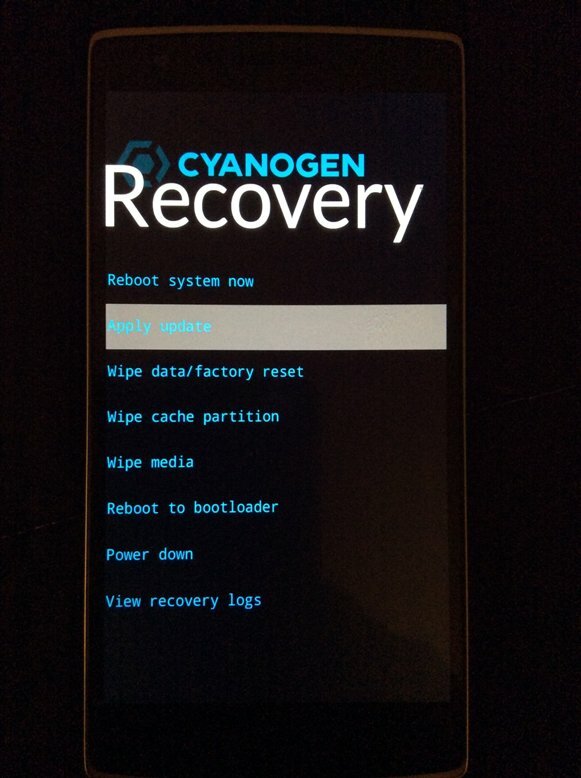 Reboot your Phone in stock recovery. Switch off your phone and “Power” button AND “Volume Down” button until the phone responds. Step 2. Welcome into Recovery! Simply select “Apply Update” by touching the screen accordingly. Step 5. Your download should be located in the “Download/” folder. If you chose a different location please follow the appropriate directory tree to point to the OTA file! Step 6. Simply touch the file we downloaded, “cm-12.0-YNG1TAS17L-bacon-signed.zip” and the installation process will start on your phone. Step 7. Once the installtion process is completed, go to main page and ‘wipe cache partition‘. Step 8. After that choose “Reboot System Now”. 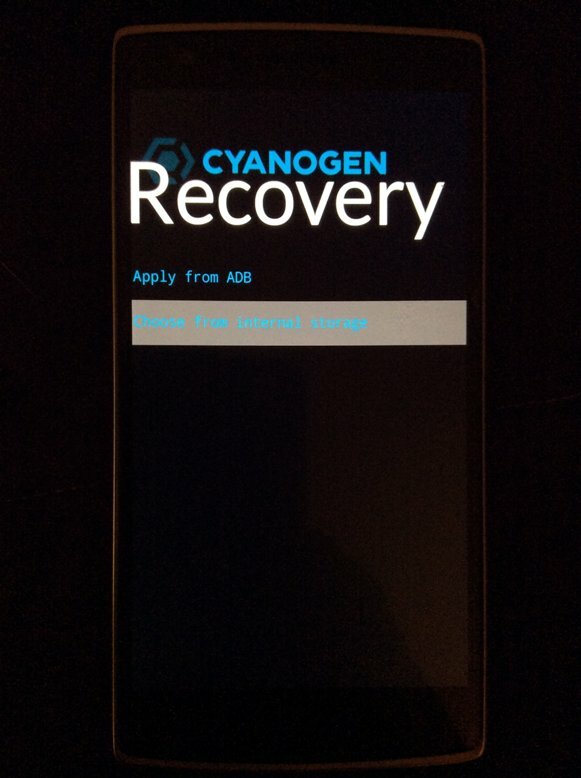 The first boot will take some time, once the phone is booted you will see the new CM12S rom on your One plus one. 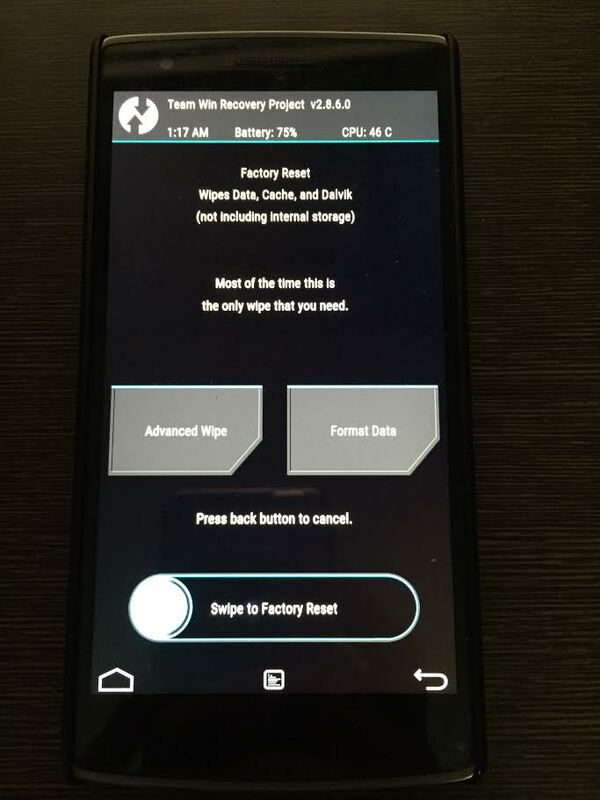 This guide is for all the rooted user with TWRP recovery or Oxygen OS user, CM 111S rooted user or any other Custom ROM user with TWRP recovery. Step 1. 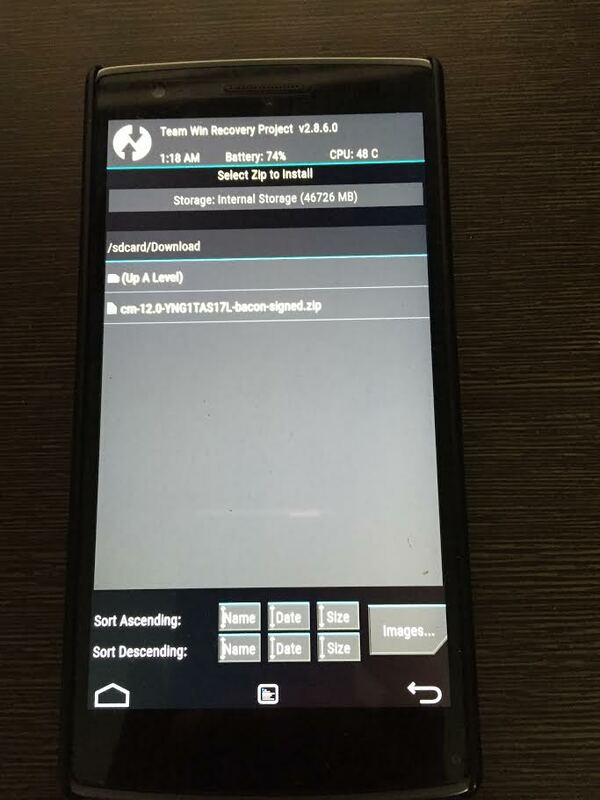 Reboot your Phone in TWRP recovery. Switch off your phone and “Power” button AND “Volume Down” button until the phone responds. Step 2. 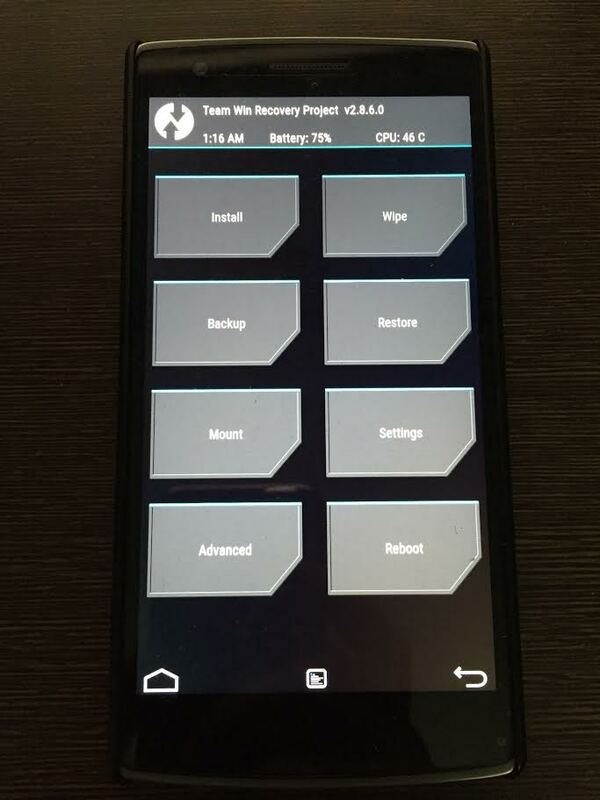 Now you are on the main screen of TWRP recovery. From here tap on the “Wipe” button. Step 4. Select “Dalvik cache, System, Data and Cache“. Then swipe to wipe. Step 5. Go back to Home screen, select Install and then choose the “cm-12.0-YNG1TAS17L-bacon-signed.zip” Your download should be located in the “Download/” folder. If you chose a different location please follow the appropriate directory tree to point to the OTA file! Step 6. Once installation is over, Reboot System. 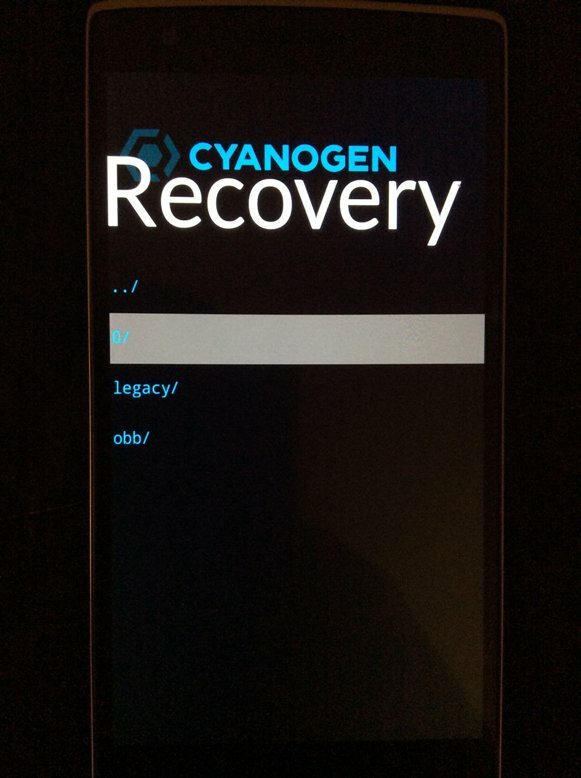 You now are running Cyanogen OS 12 YNG1TAS17L Adroid Lollipop !